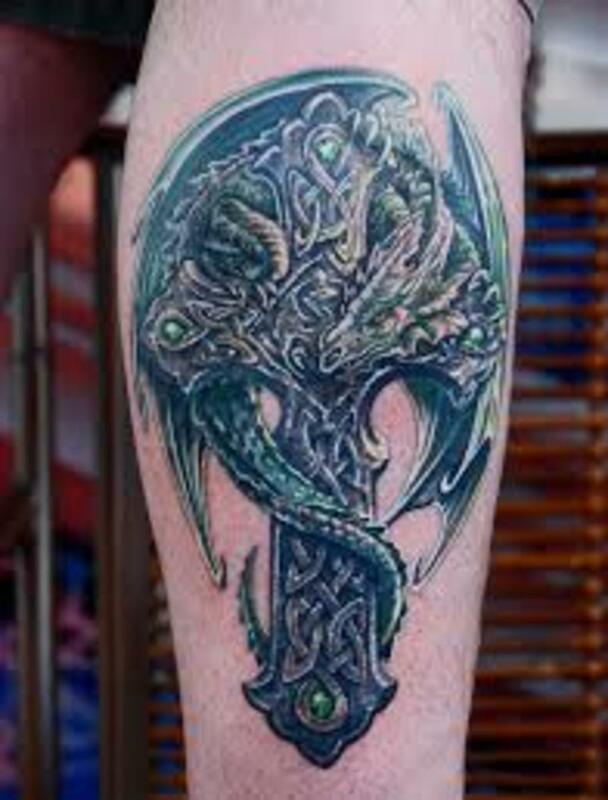 Celtic tattoos are one of the most popular styles of tattooing. Just like tribal art, Celtic art dates back over a thousand of years ago. Celtic art is one of the most creative art styles in history. 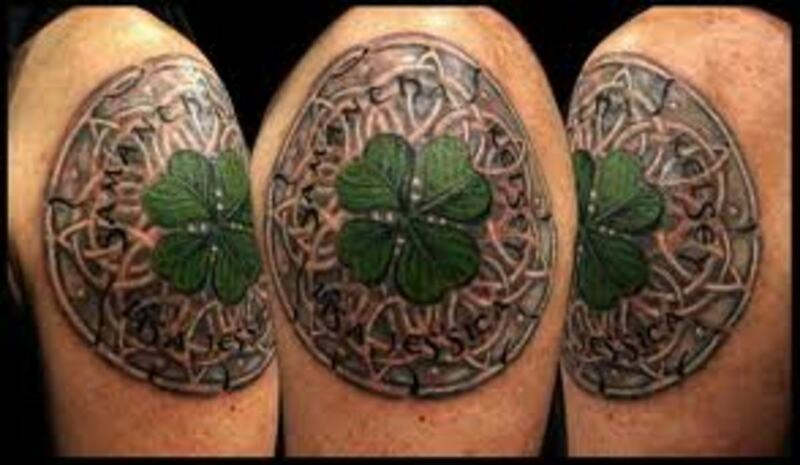 Celtic art has inspired many people in the tattoo world and Celtic tattoos have gained popularity over the last few years. 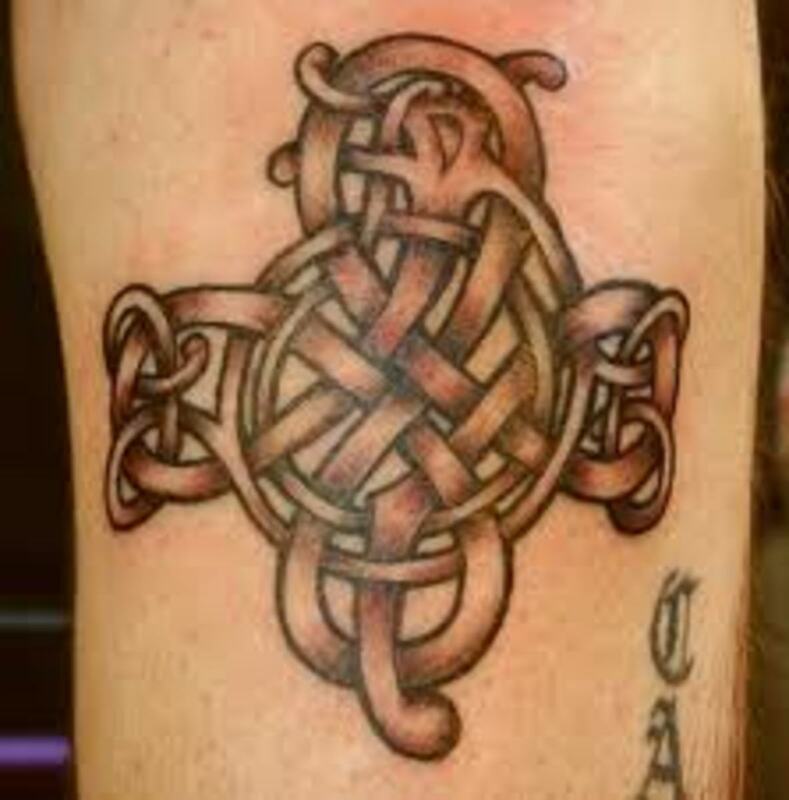 For a tattoo, there are a variety of different Celtic designs and symbols that are very popular. In this article, we will go over the Celtic history and how these interesting designs came to be. We will also learn about popular Celtic symbols. 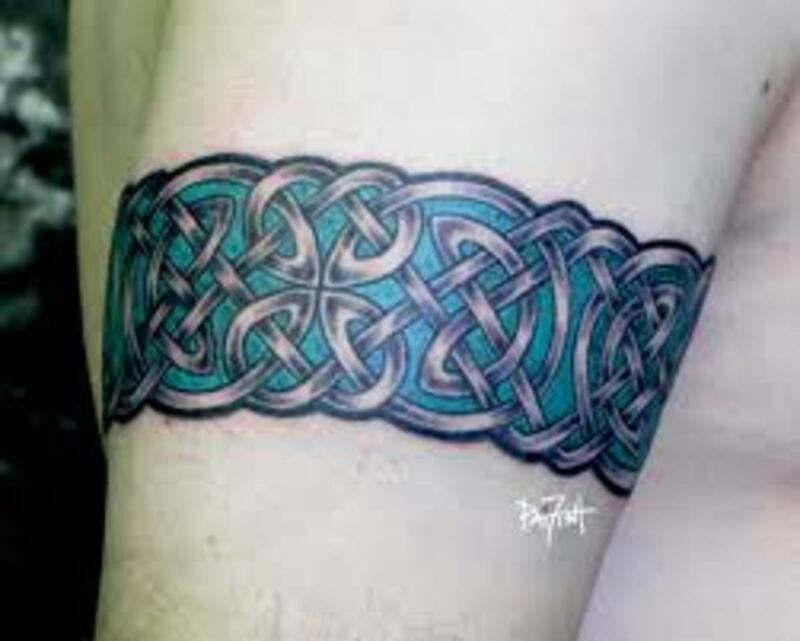 Lastly, you will have a chance to view several different Celtic tattoos and hopefully you will be able to gain some inspiration and ideas for your next tattoo design. So what is Celtic art? Celtic art was inspired by the Book of Kells, which is an illustrated manuscript. The Book of Kells was created by monks, possibly around 800AD or earlier. Celtic art is also known as insular art. This is art that uses curvilinear designs that usually have no beginning or no end. As you can see from the pictures, there are very little space between each line. These Celtic designs are very creative and each one is unique in its own right. Celtic art can include knotwork, spirals, mazes, and a variety of interlacing patterns. Tattoo artist have found inspiration in the Irish Illuminated Manuscripts as well. 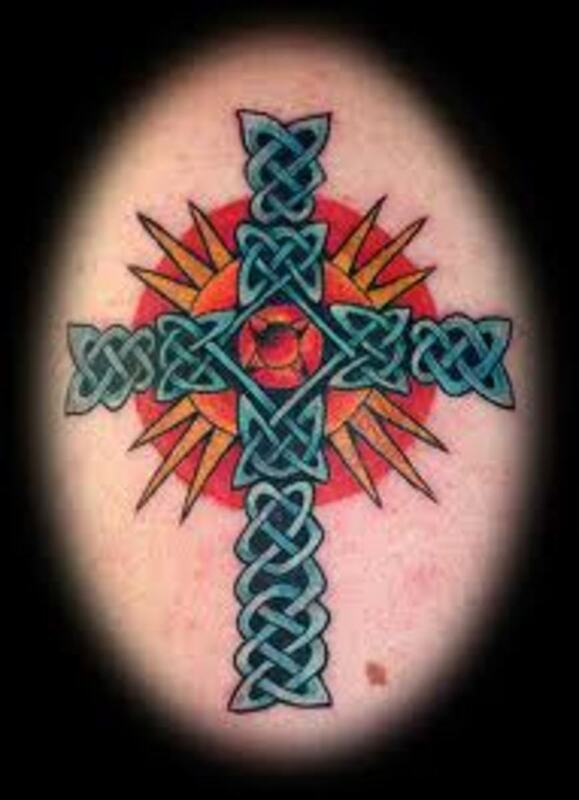 To be noted, most of the tattoos seen today were inspired by the Irish Illuminated Manuscripts. Over the centuries, Celtic art has been found in stones, metal, jewelry, weapons, and pottery. The Book of Kells and the Irish Illuminated Manuscripts are a very important pieces of history in the Celtic community because early Celts did not record their history. When it comes to pride in their heritage and culture, nobody displays it more proudly then the Celtic community. The Celtic, also known as "Celts" or "Irish" once flourished in Europe over a thousand years ago. In fact, much of Europe was populated by the Celts. As time passed, more and more civilizations occupied Europe and the Irish would later occupy Scotland, Greenland, Ireland, Wales, and Britain. These same countries still support their Irish religion, traditions and customs today. Today, the Celtic community can be found in various places all over the world. One major influence to the Celts was the introduction of religion. St. Patrick introduced Christianity to the Celtic community, a faith that the Irish hold today. This is the same St. Patrick that Americans celebrate on St. Patrick's Day. Christianity was a major influence that gave the Irish an identity, a reason for their strong values today. Out of this, the famous Celtic cross was born. The Celtic cross became a symbol of the Celtic religion, community, and faith. 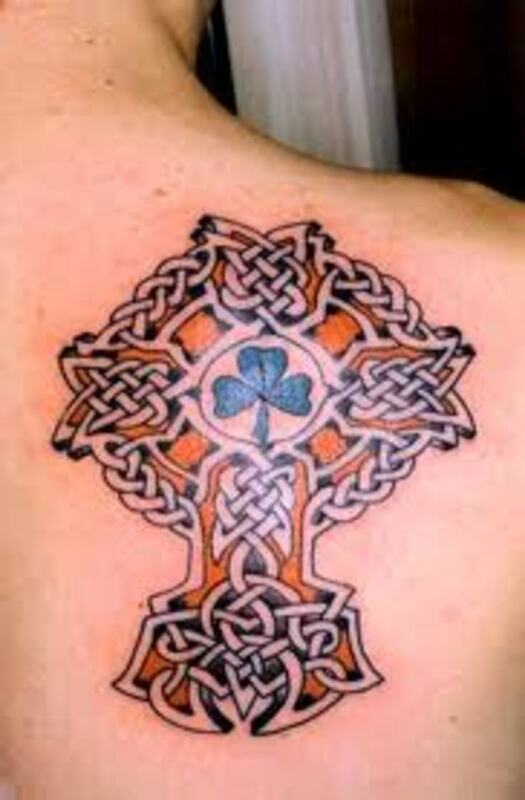 The Celtic cross is very well known and very popular in the art of tattooing. 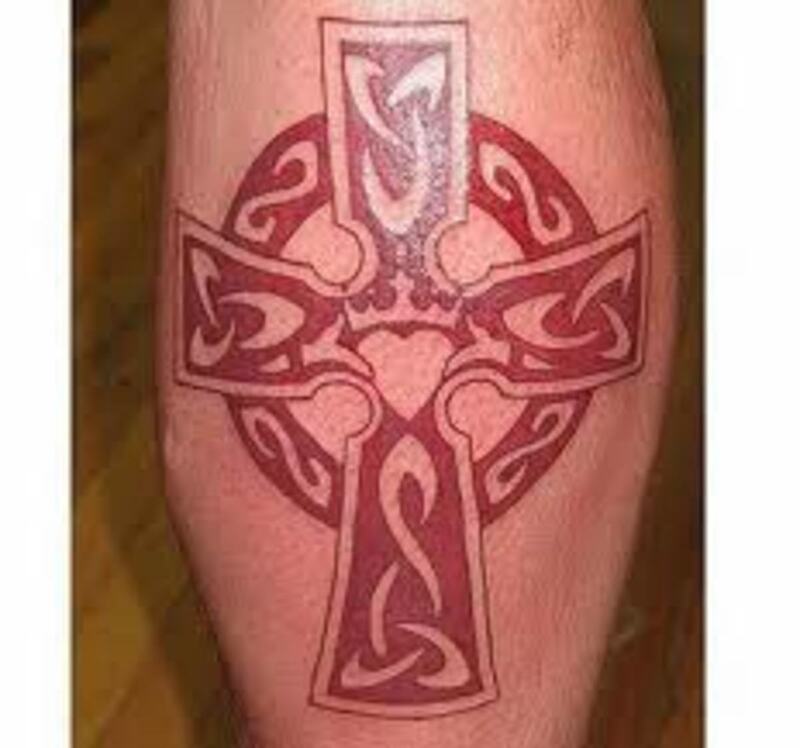 The Celtic cross has strong symbolism that corresponds with the Celtic cross tattoo. 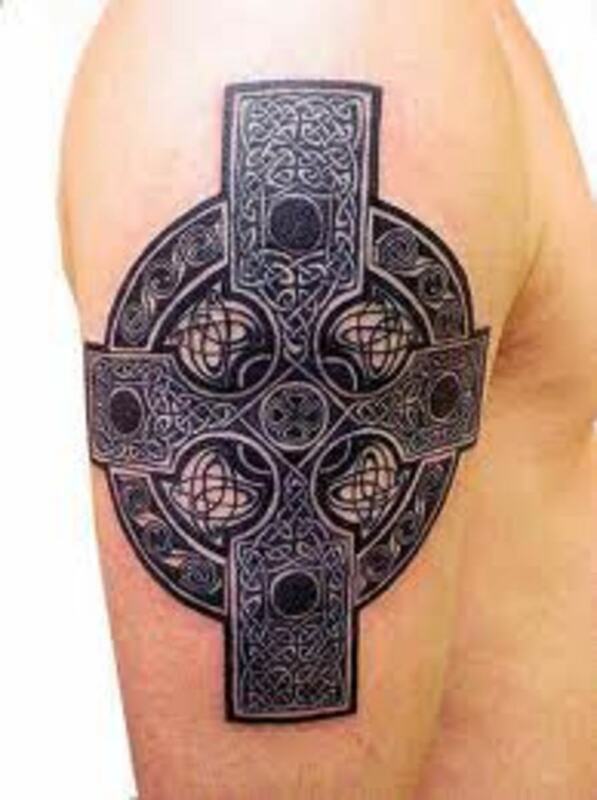 The Celtic cross tattoo can be worn to symbolize a variety of things. 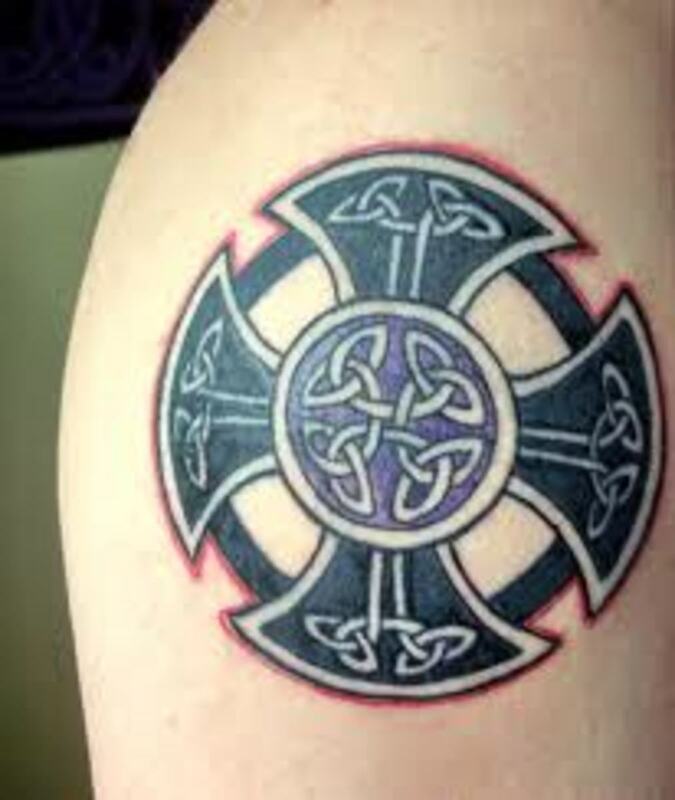 Since Christianity was so important to the Celts, many people choose to wear the Celtic cross tattoo to represent their faith in their Christian religion. 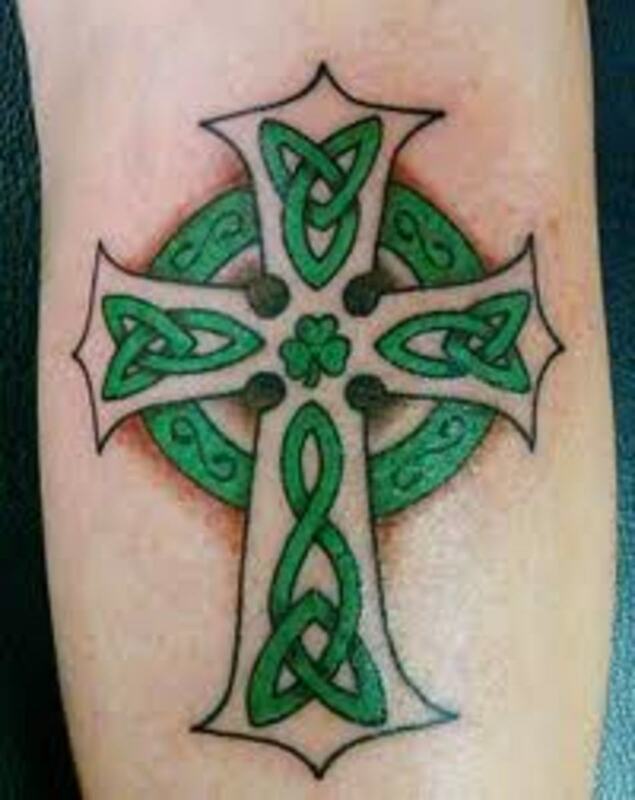 The Celtic cross tattoo can also symbolize hope, faith, and honor. 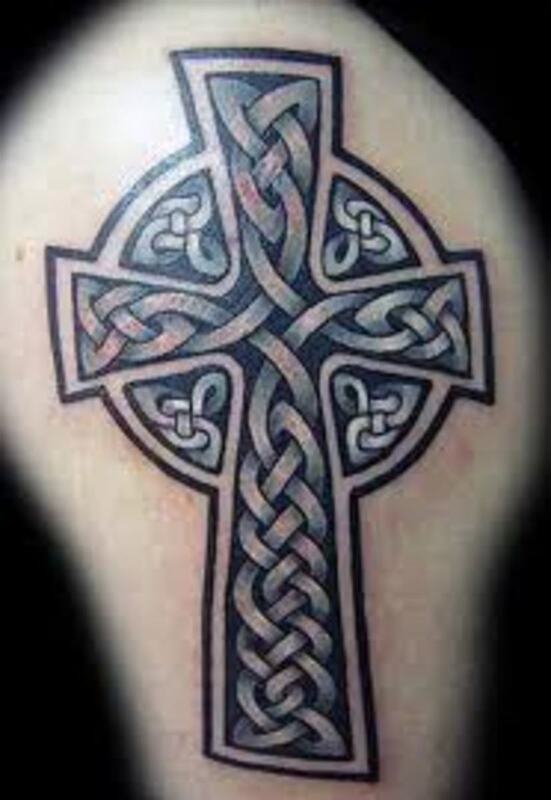 The Celtic cross tattoo is perfect for someone to symbolize their faith. 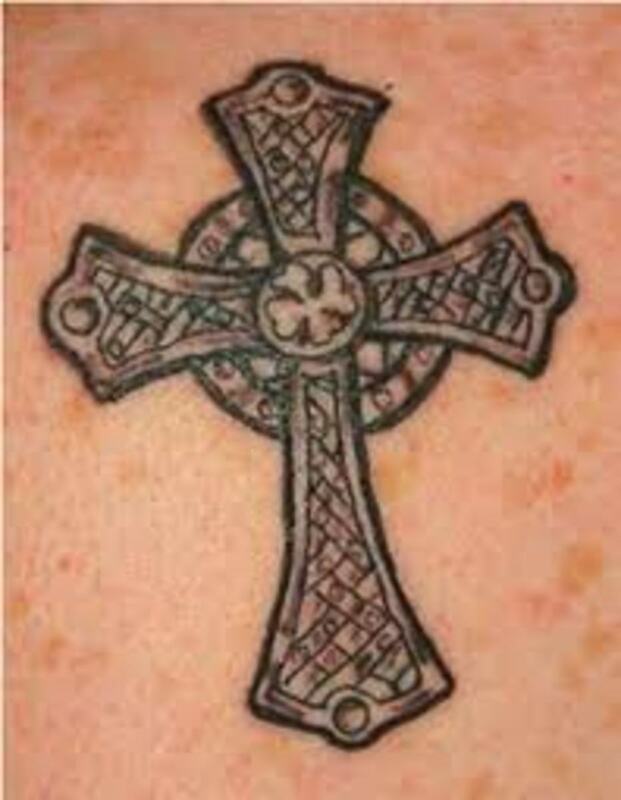 The Celtic cross can also be worn as a memorial tattoo. You may have lost a close family member, such as a father, mother, or sibling. It could be a best friend or partner. The Celtic cross can be used to honor that person's life, a show of love and respect for the departed. Another iconic symbol of the Celtic community is the famous shamrock. The shamrock has been used to symbolize the Celts and Irish for centuries. In fact, the shamrock is widely used today to symbolize these same cultures. The shamrock is the most iconic symbol in the Celtic history. 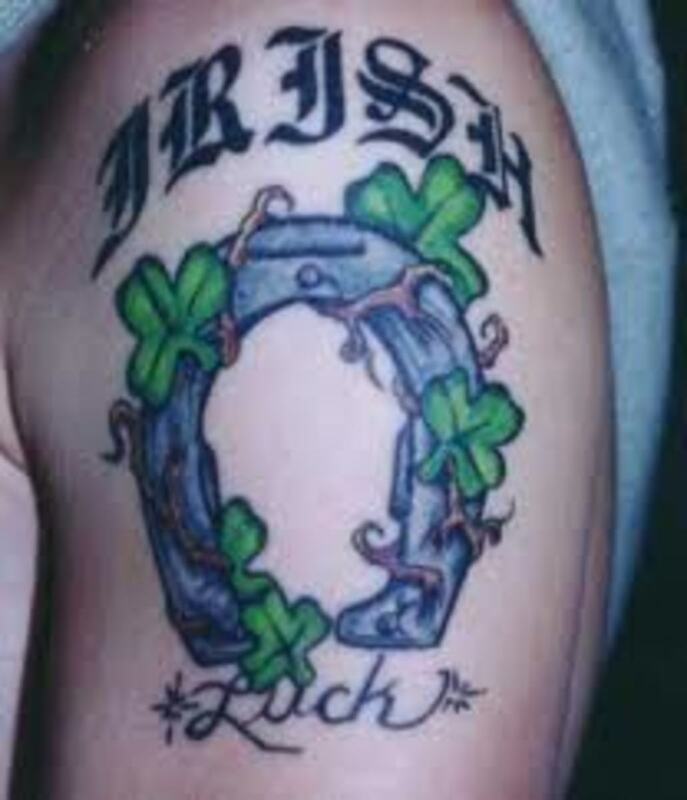 The shamrock tattoo is often tattooed to portray one's love and respect for their Irish heritage. 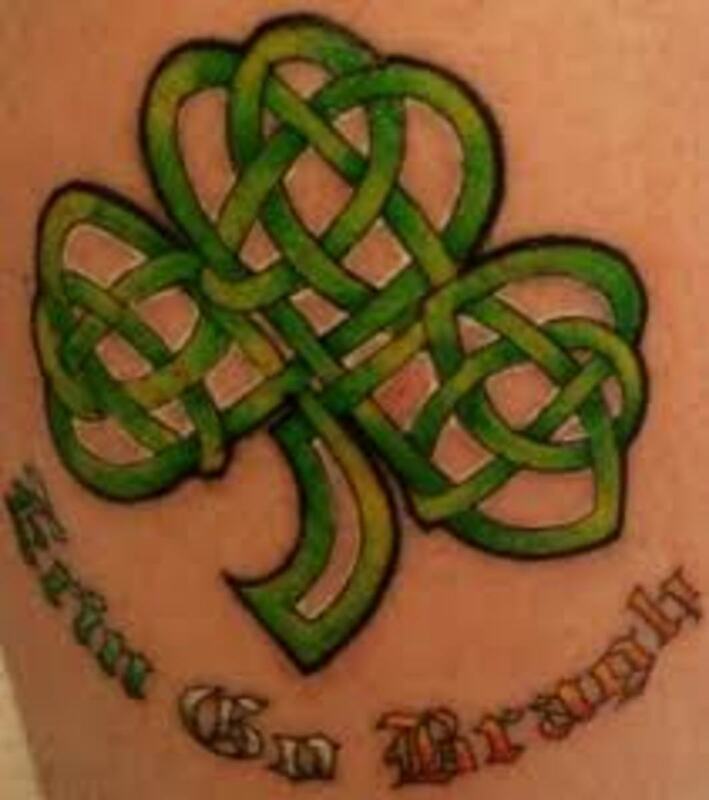 If you are of Irish or Celtic decent, the shamrock tattoo is the perfect way to symbolize your Celtic and Irish pride. 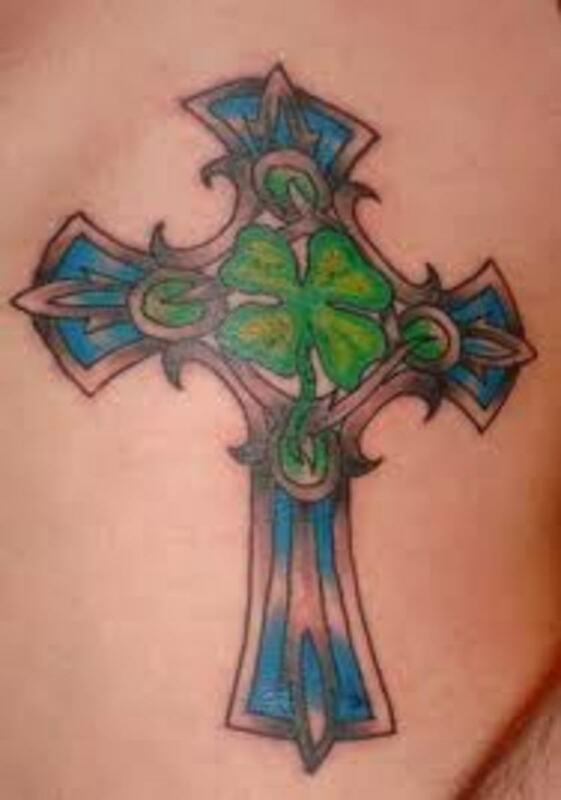 Shamrock tattoos may be portrayed in a variety of traditional art styles or art work. 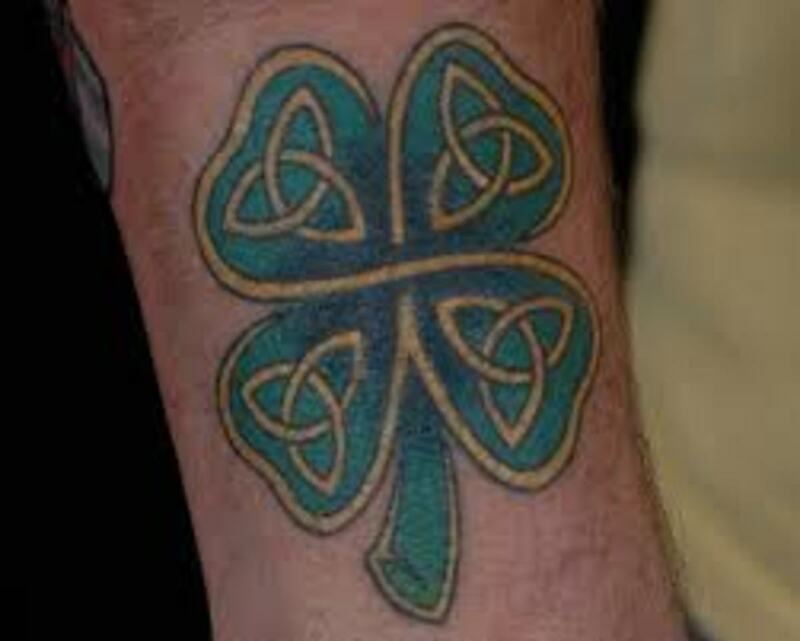 The shamrock tattoo may be portray in its original form or it may be done in Celtic art. Another popular iconic symbol of the Celtic community is the famous four leaf clover. 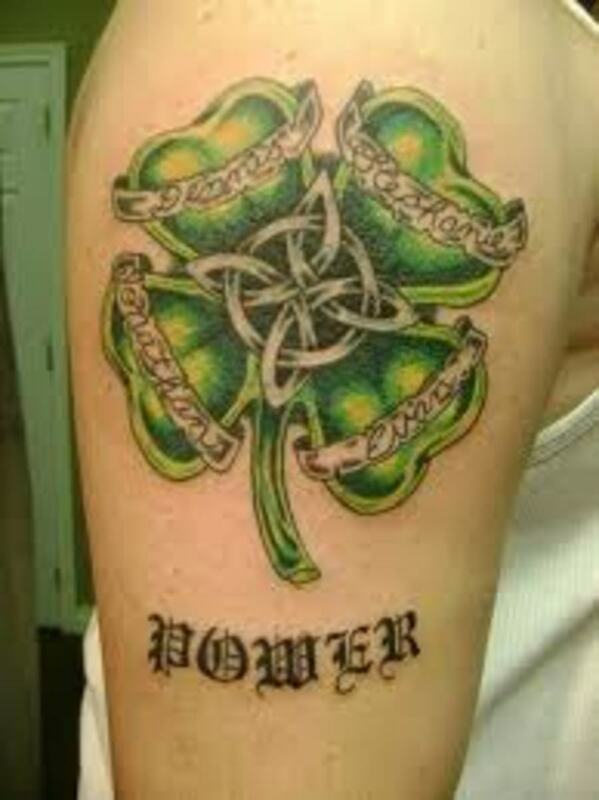 Four leaf clover tattoos are very popular in the Irish community. The four leaf clover is one of the most recognized symbols throughout the entire world. As you may already know, the four leaf clover symbolizes good luck and good fortune. The same symbolism is used in four leaf tattoo designs. The four leaf clover represents good luck because the chances of finding one is slim to none. It is estimated that you have a 1 in 10,000 chance of finding a four leaf clover. 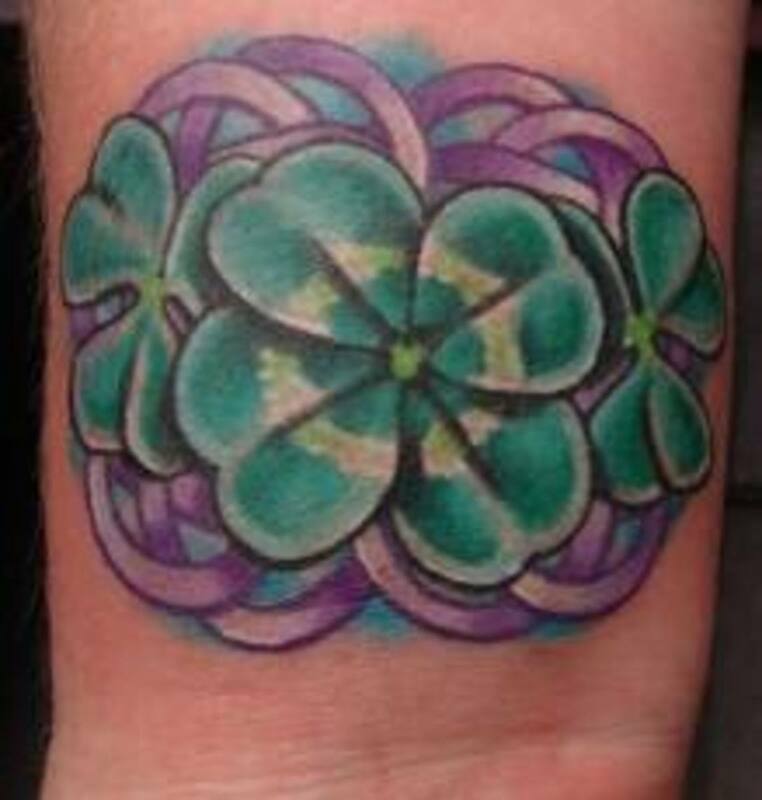 The four leaf clover tattoo is the perfect tattoo for someone trying to turn their luck and fortune around. 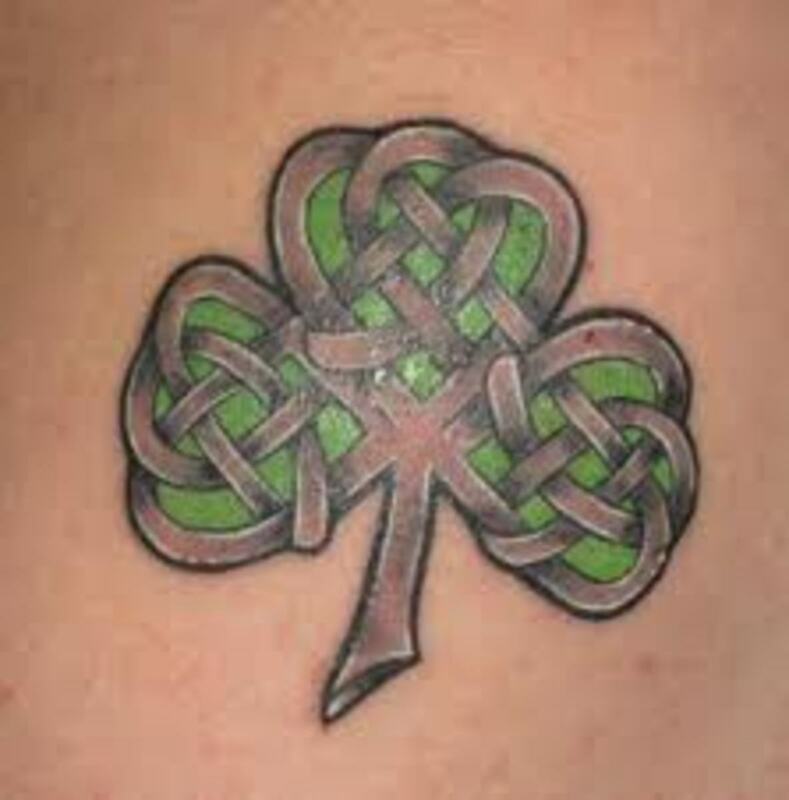 The four leaf clover tattoo may be portrayed in its original form, in Celtic designs, or it may be portrayed with other "good luck" symbols. 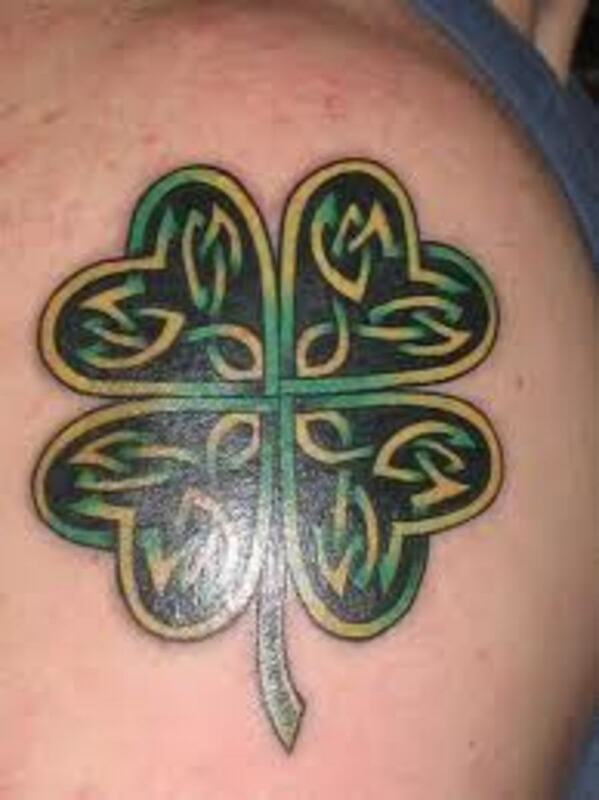 The four leaf clover tattoo can be portrayed with a variety of different tattoo symbols. 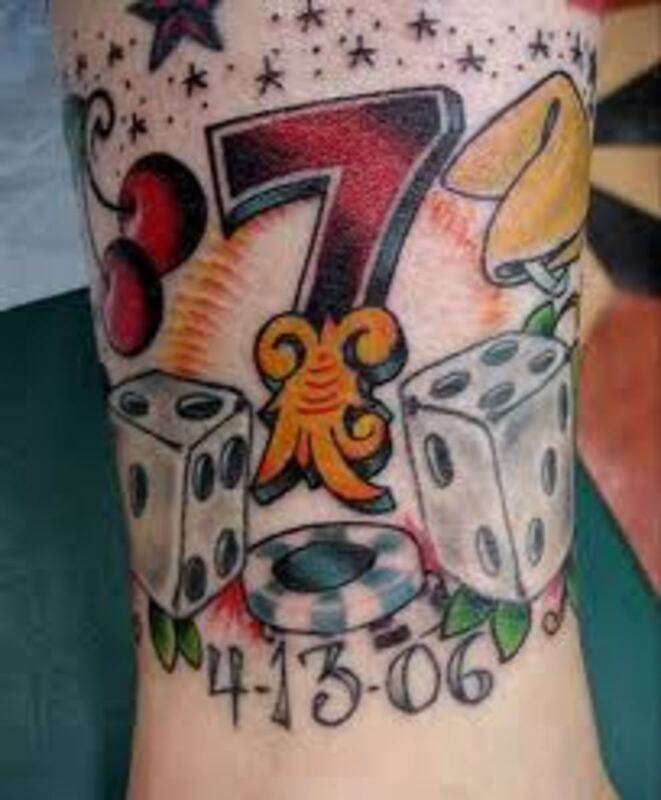 The four leaf clover tattoo may be designed with a horseshoe, eight ball, the number "7",ladybug, rabbit, dice, money, or playing cards. 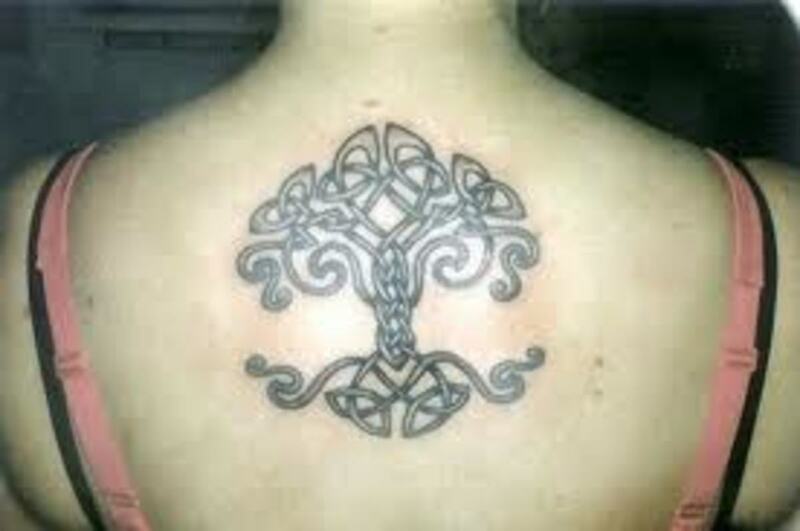 The Celtic Tree of Life is also a popular tattoo design chosen by men and women. The Celtic Tree of Life can symbolize a variety of different things. The Celtic Tree of Life can represent your life, your dreams, hope, and aspirations. The Celtic Tree of Life can be designed in various ways, although some may not portray complete Celtic art. As you read before, Celtic art patterns usually have no ending or beginning. In traditional Celtic designs, the Celtic Tree of Life is portrayed with connected branches and roots. This represents the "circle of life". It can symbolize the continuous path that we take in life and in death. Many people believe that the Celtic Tree of Life represents the bridge between earth and Heaven. 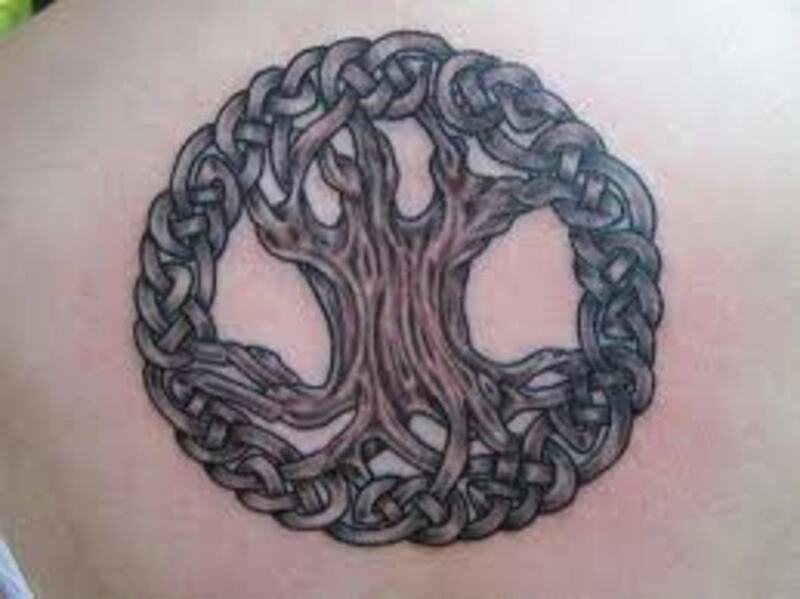 Some Celtic Tree of Life tattoos may not portray the branches and roots connected. 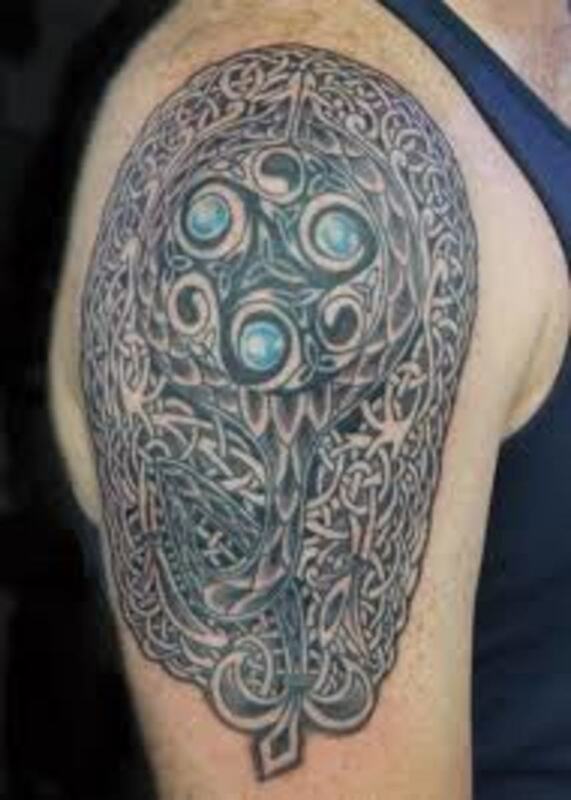 Celtic Tree of Life tattoos may be completely designed in Celtic patterns or Celtic art can surround the Celtic Tree of Life tattoo. 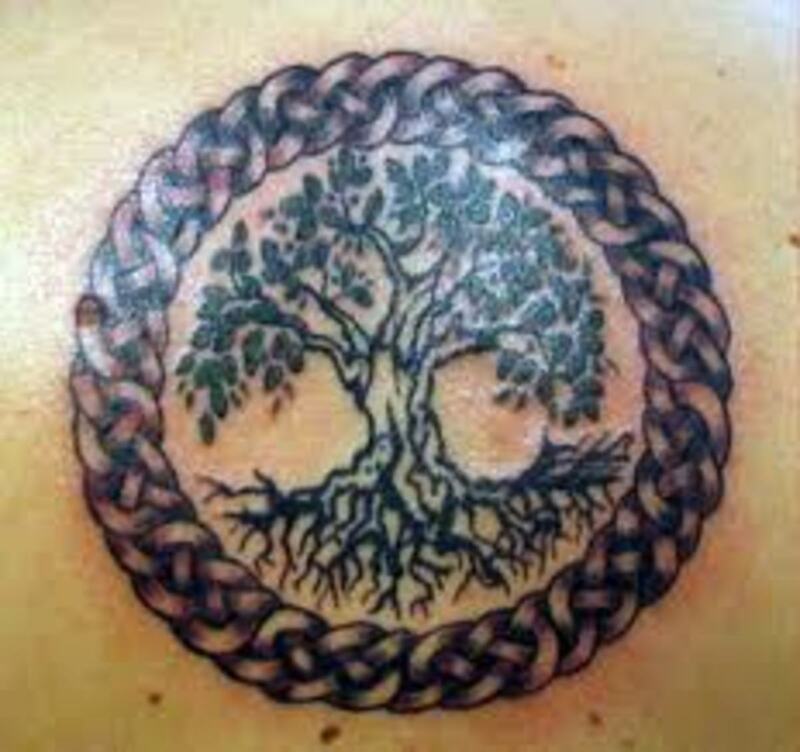 The Celtic Tree of Life can serve as a religious tattoo in some aspects, but overall, it represents our life and journey. 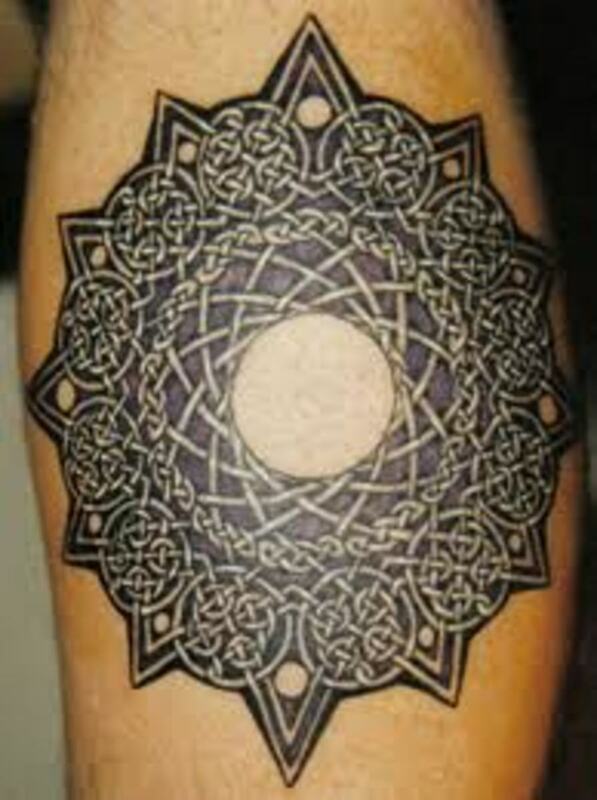 Celtic tattoo patterns are also very popular as a tattoo. 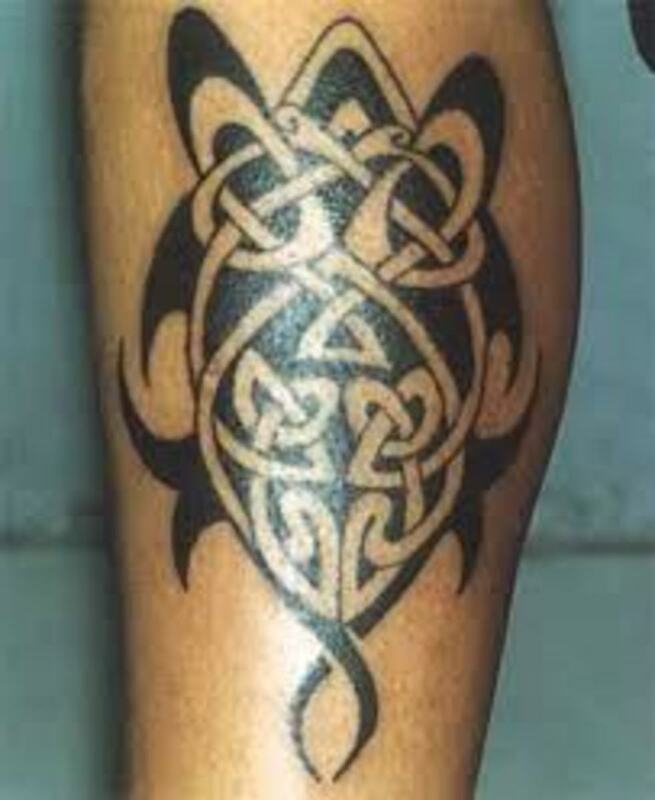 There are a variety of different Celtic tattoo patterns to choose from. As you read earlier, it can contain spirals, mazes, or knotwork. If you are not interested in popular Celtic symbols, you may want to choose a cool Celtic pattern. 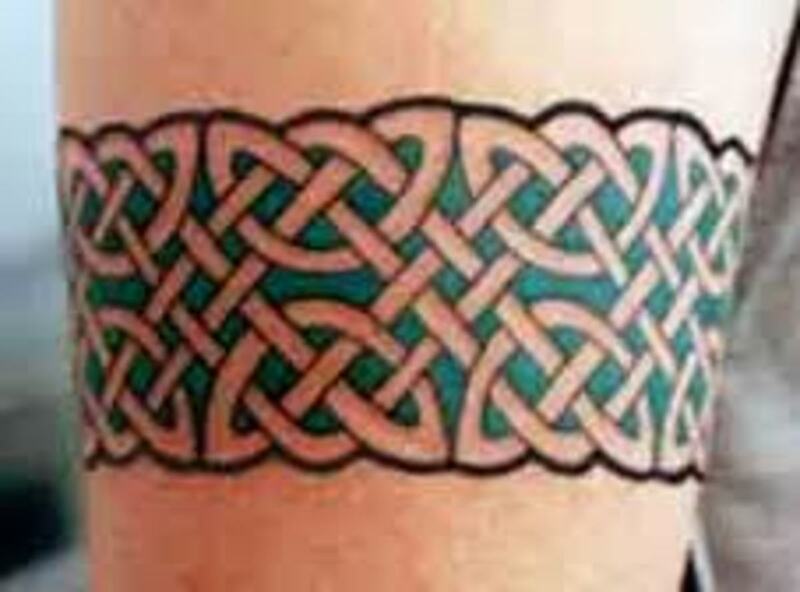 Celtic tattoo patterns and designs are unique, creative, and mysterious. If you want a unique tattoo that few wear, these Celtic designs are the way to go. You can add these creative patterns in your Celtic cross tattoo or you may want to add a shamrock or clover into the design. You can do a lot with Celtic patterns and designs, let your imagination run wild! 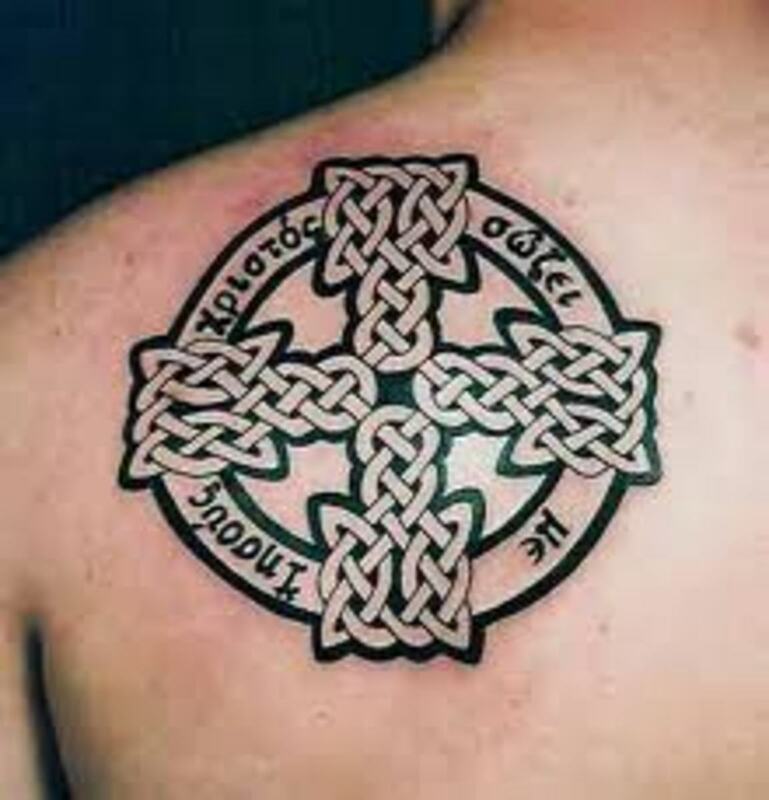 Celtic tattoos are usually done in two basic colors. 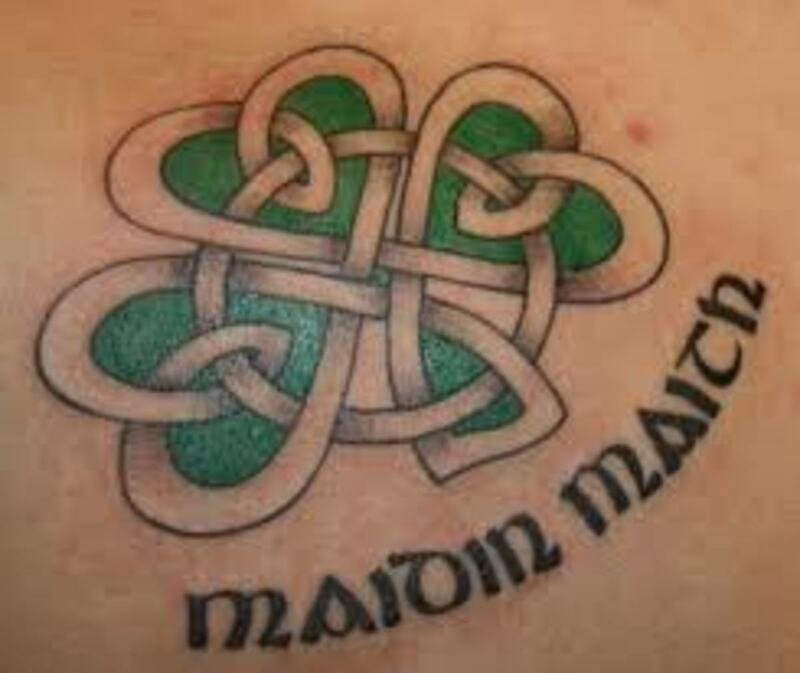 In most cases, Celtic tattoos are done in black and green ink. This is not to say that other colors can't be used. You can use any color that you wish to use. As you know, shamrocks and clovers are green and the color green is associated to the Irish and Celtic community. 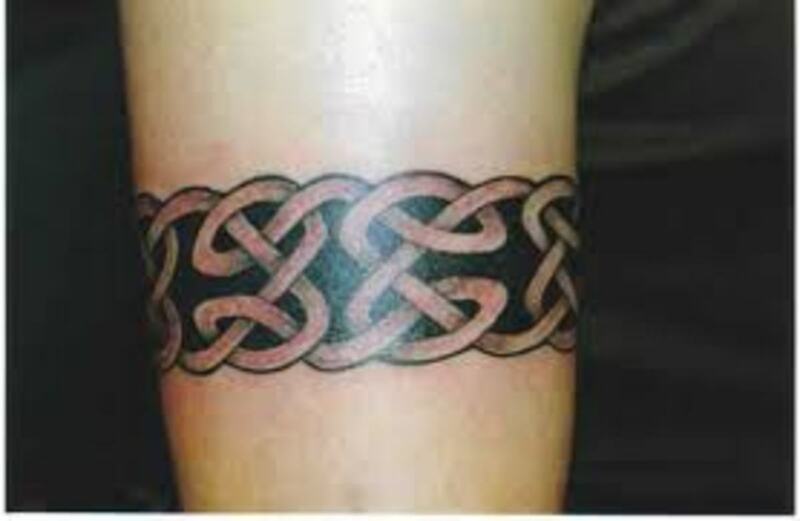 Celtic tattoos can also be used to create wrist tattoos or ankle tattoos also, such as arm band or wrist band tattoos. 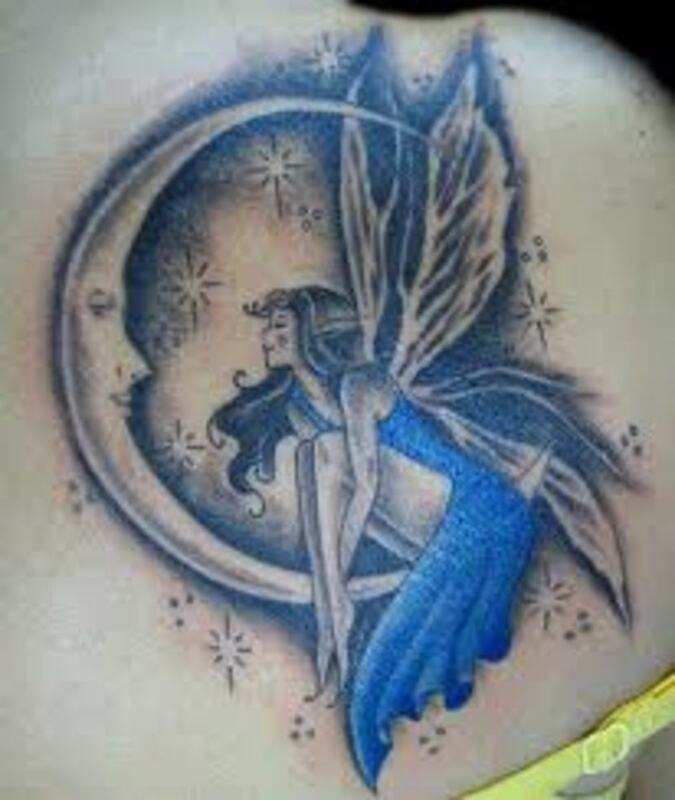 The size of your tattoo will untimely depend on what tattoo symbol or design you choose. 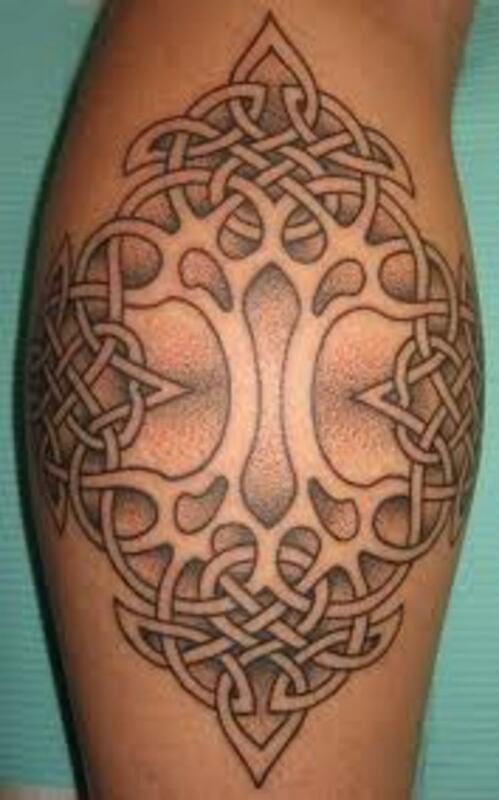 Celtic tattoo patterns can be done in a variety of sizes, from large to small. 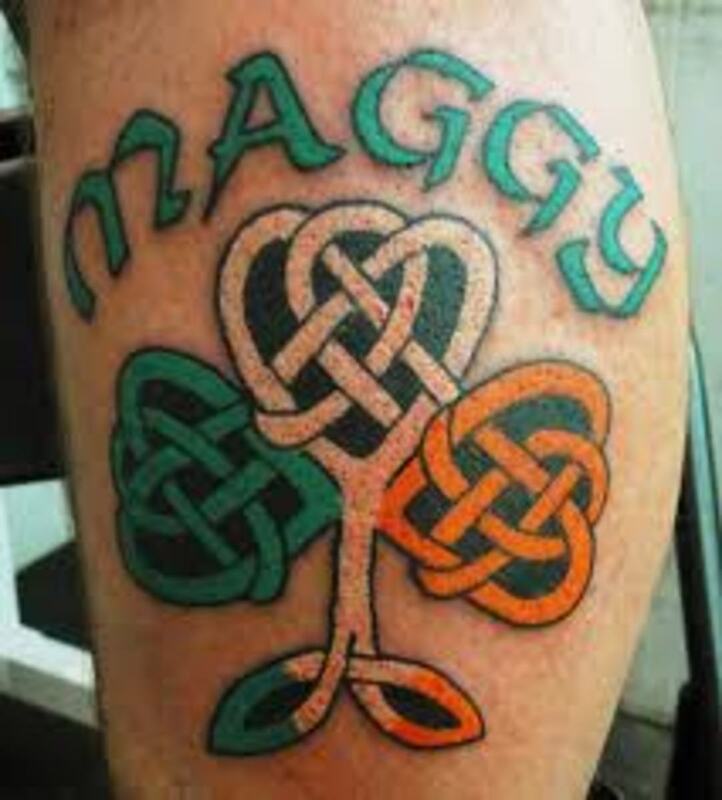 Before you choose your Celtic tattoo, you want to think about what design you want, what colors you want, and where you want to be tattooed. There are some very important things that you should remember before you choose to get tattooed. Make sure you take the time to do research on your tattoo. Research what your tattoo design represents and means. You don't want to choose a tattoo and find out later that it represents something else. Don't rush to get inked! This is very important. You have to remember that a tattoo is for life.Those that rush to get inked without thinking usually end up with regrets about their decision to do so. Even with cover ups and laser removal, there is no guarantee that your tattoo can be fixed or removed. Make sure you choose the correct tattoo the first time around. 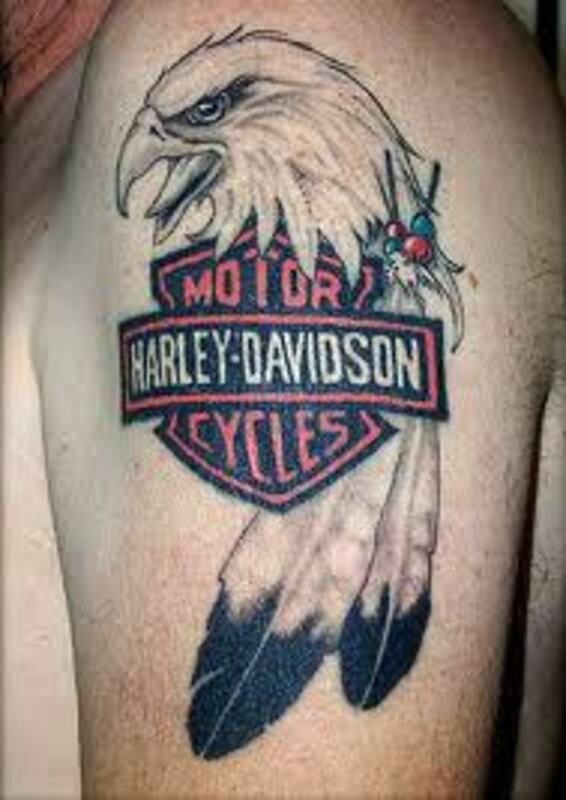 There are literally thousands of tattoo symbols to choose from and finding that perfect tattoo may take time. Remember, take your time, do your research, and choose something that you know you will always like. If your not sure, don't get tattooed! If you wish to take the time to view more tattoos, please follow the links below to view more tattoo symbols, designs, ideas, and meanings. Thanks for your visit. Laurena, thanks for taking the time to drop by. You are right. I like them also. Love the style of art. Thanks again and come back anytime. Best wishes. 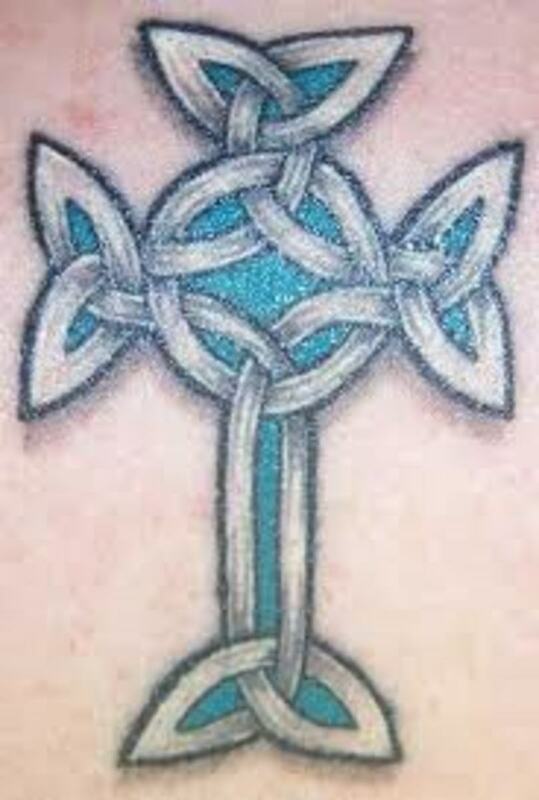 I have a couple of Celtic knot tattoos myself and love the ones you posted here. I love how they represent nevernding love since you cannot determine the beginning or ending of the knots. *KJ, LOL:) Pretty much touched on all of them. Still have a few to go. Great questions. I am a big history buff. When I learned all the history tied to tattoos, I quickly became a fan. The more I learned about symbolism and meanings, I became hooked. I see tattoos as body art, a way that one can express what they believe and feel in the form of a tattoo. So many still frown upon tattoos, but how can someone be so quick to judge when they know nothing about tattoos. My purpose became to help people understand why others wear tattoos. They are not associated to evil, bad things, ect. They are worn for meaning, for purpose. 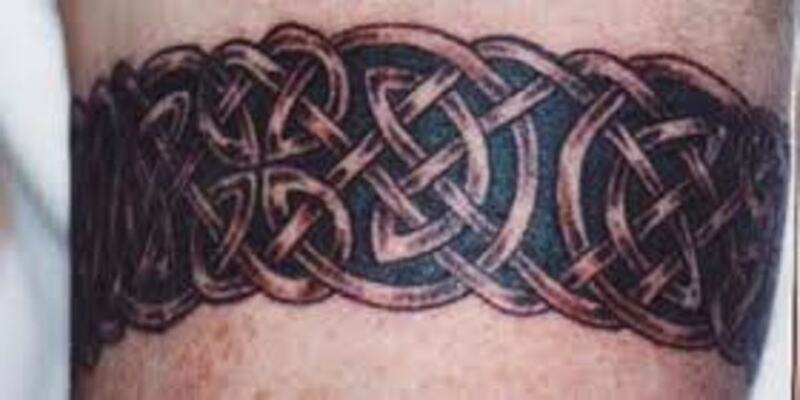 Some of these tattoos, such as Celtic tattoos, they date back thousands of years ago. 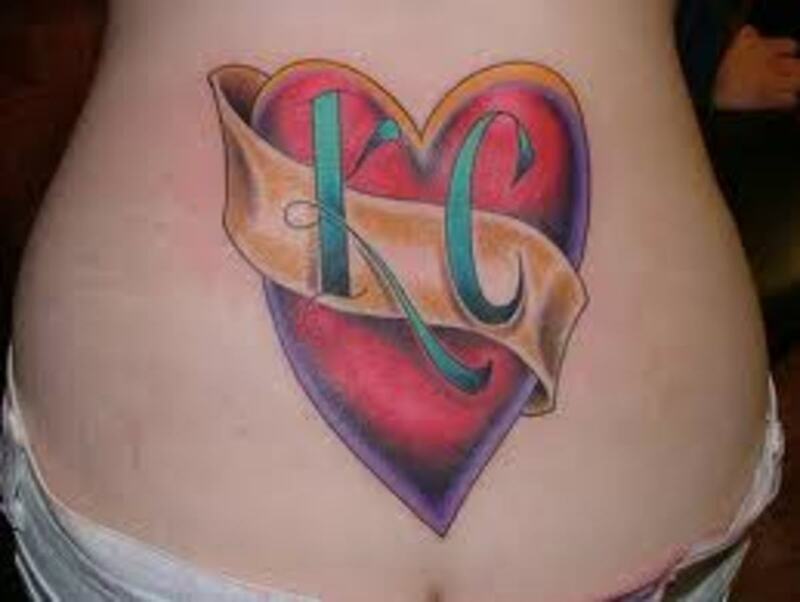 Imagine that, all that time and these designs are still tattooed today. Yes, some people get tattoos just to wear beautiful body art. Many get a tattoo for a personal reason, to give something meaning. I do have a few tattoos. I have a cross tattoo with a ribbon that has my children's names on it. I have a lion tattoo and a crown tattoo. Each one holds meaning. The cross shows how precious my family is. The lion is for strength and courage of the unknown. The crown reminds me to always be loyal to myself, loyal to all I meet. To be the best I can be. I love your questions KJ. *Ionizer, thanks for taking the time to comment. Appreciate the feedback and glad you liked them. 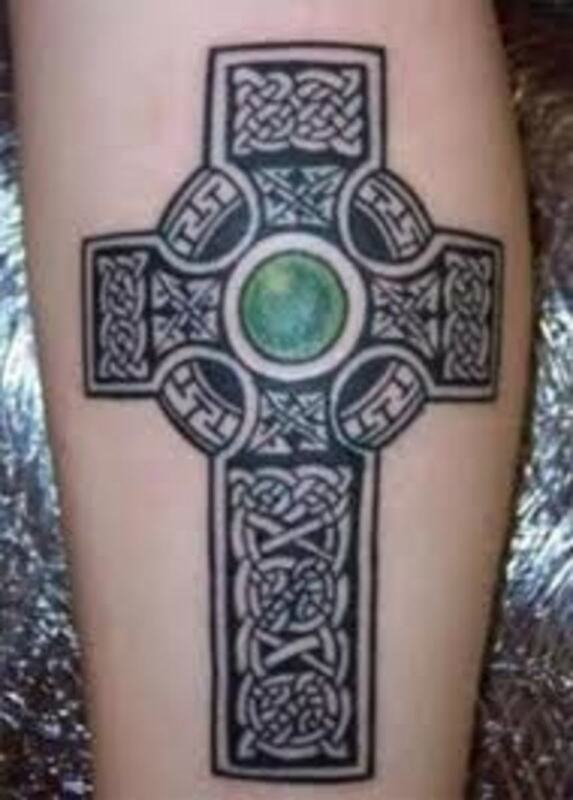 Yes, love all the Celtic art, designs, tattoos. Great choice. 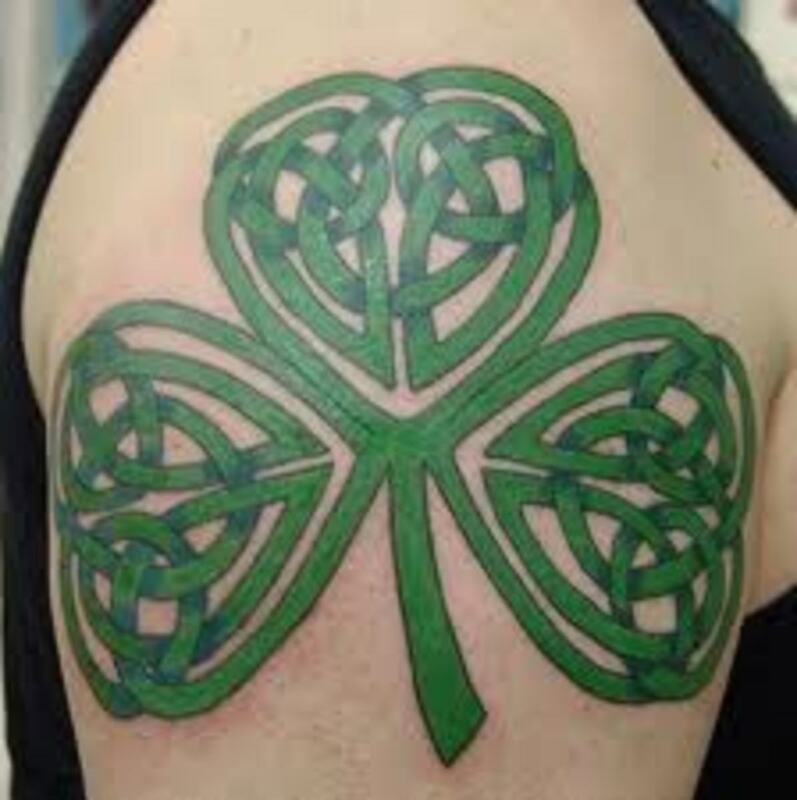 Great tattoos, I'm quite the fan of Celtic/shamrock tattoos! Is there no subject that tattoos have not been covered ? Beautiful pictures.. When and why did you get interested in tattoos ? and do you yourself have any ? What actually determines ones decision to get a tattoo ? just curious..
*Alocsin, thanks again for dropping by. They are interesting to learn about. Glad you enjoyed it. Take care pal. *Max, I am always thankful to have your kind heart drop by my friend. Many thanks and take care. *Crystal, thank you so much for taking the time to read this article. Thanks and take care. *Gypsy, I don't know what I would do without you:) I sincerely appreciate everything. We have been there since the beginning, over a year! *AE, many thank you's are in store! I find it so interesting, fun to write about and read. Plus, it is where my heritage is from. *Seeker7, thanks for reading the article. That is correct. The tree was so significant to so many cultures. They knew it was important for life and all life has to offer. With that reference, you find it in art, pottery, and tattoos. Meaningful tattoo symbol. Awesome!! The Celtic Tree of Life is stunning! I do tend to see the Tree, as it is within the Kabbalah - life and journeys through all the worlds not just the physical. These hubs of yours are so fascinating and beautiful at the same time. I can't think of a better way to learn about culture and history than reading your interesting facts as well as having beautiful images to look at. These wonderful hubs of yours have everything! voted up + shared!! Your in-depth history concerning Celtic art is interesting. They are very bold and heavy looking but beautiful..Thank you..
Voted up and awesome. You seem to have a treasure chest full of tattoo ideas Ricky. You keep writing them and I'll keep reading and passing on. Wow! I'm not personally into tattoos, but these are beautiful. Thanks for sharing. Voted up! 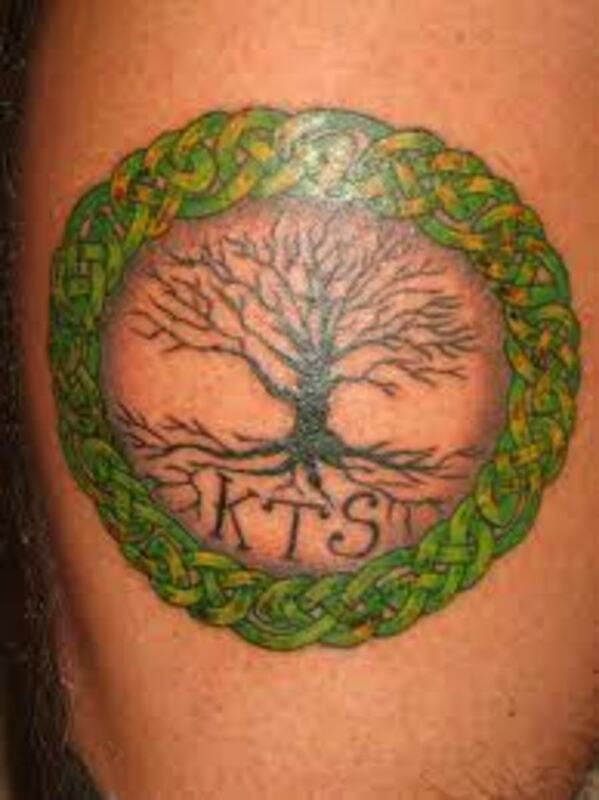 Celtic Tree of Life - love it love it love it! SO awesome! I see these a lot but didn't know what they meant, except for the cross. Thanks for the low-down on their meanings. Voting this Up and Beautiful.